i saw posts on instagram about the midnight half, I was curious as to what it was and after emailing the organiser this is what he had to say. The Midnight Half is an idea that I had years ago. 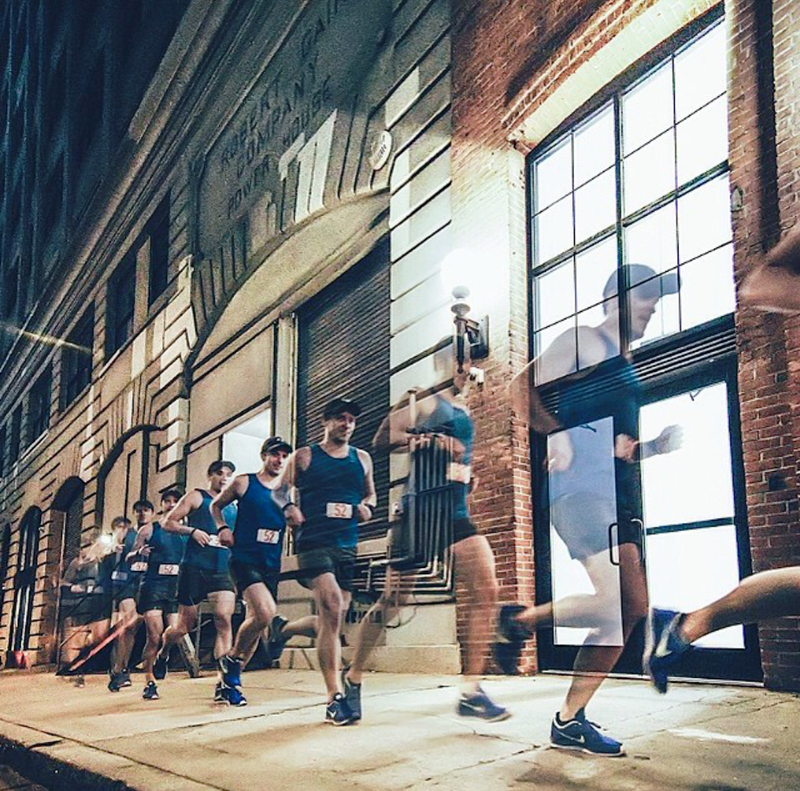 Wanting a more interesting running race than what was available in NYC, I conceptualized an event that took place at night, that was going to be challenging and that was NOT going to appeal to less intense athletes. This race is highly competitive, and dangerous (given there are no road closures and no course support). After starting OSR I became friends with David Trimble, the creator and race director of the Red Hook Criterium. 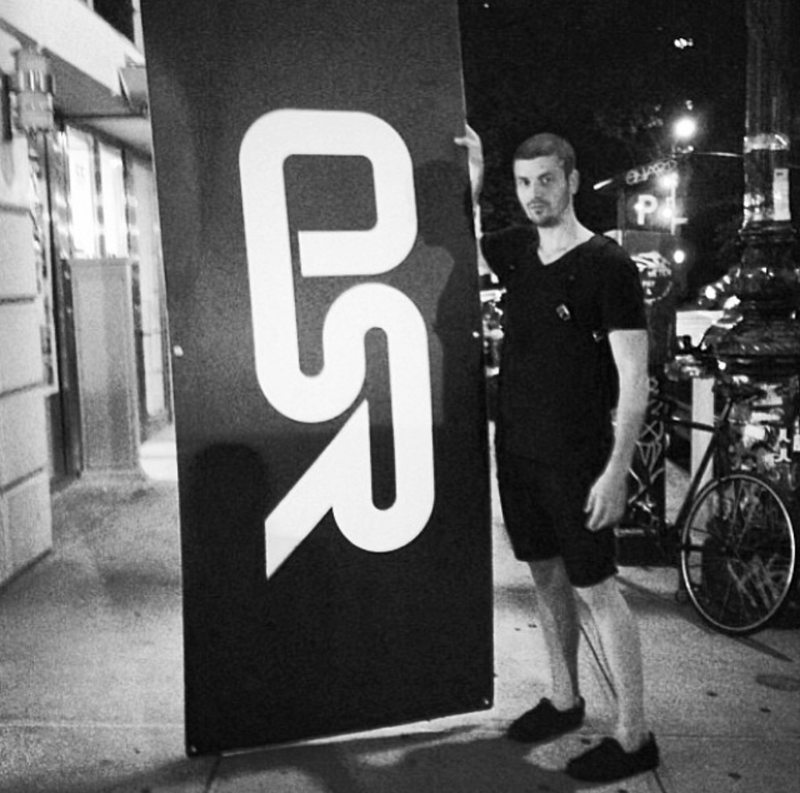 David had been running with OSR for a few months when he asked me to help him out with the Red Hook Crit, a cycling race he had produced that was gaining popularity all over the world. 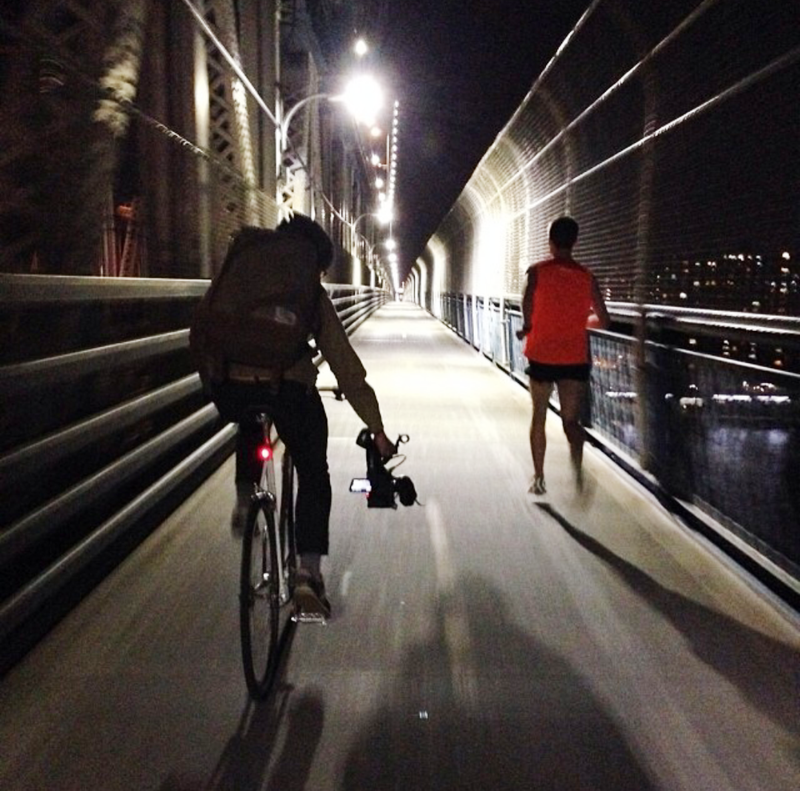 In the process of helping with the Red Hook Crit, I told David about the Midnight Half I wanted to organize and he said he would help. It was this partnership that produced the format of the Midnight Half, which is a check point driven race, similar to a cycling alley cat. Competitors can choose their own path to a series of check points, as long as the check points are completed in the proper sequence. This created a dynamic in which speed is not the only element needed to win, you must have knowledge of the streets and have split-second decision making skills in order to win. 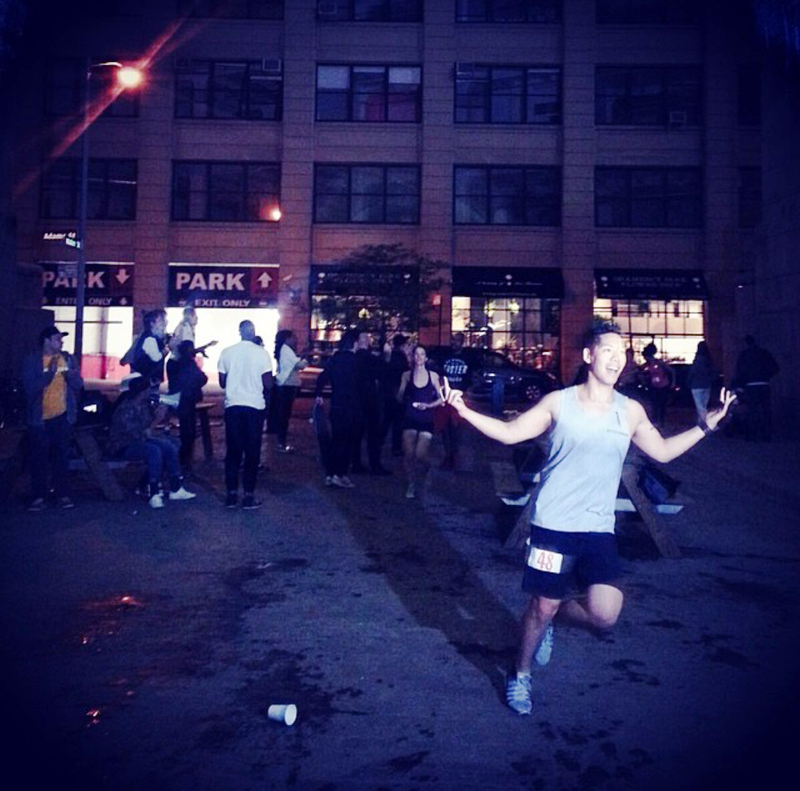 On May 31st, 2011 we executed the inaugural Midnight Half, starting at 11:00pm in the Lower East Side out of a Chinatown club, which doubled as race head quarters and after-party venue. About 65 athletes from all different running groups and crews from around the city came and competed on a 13.1mi open course with live traffic and no road closures or permits. 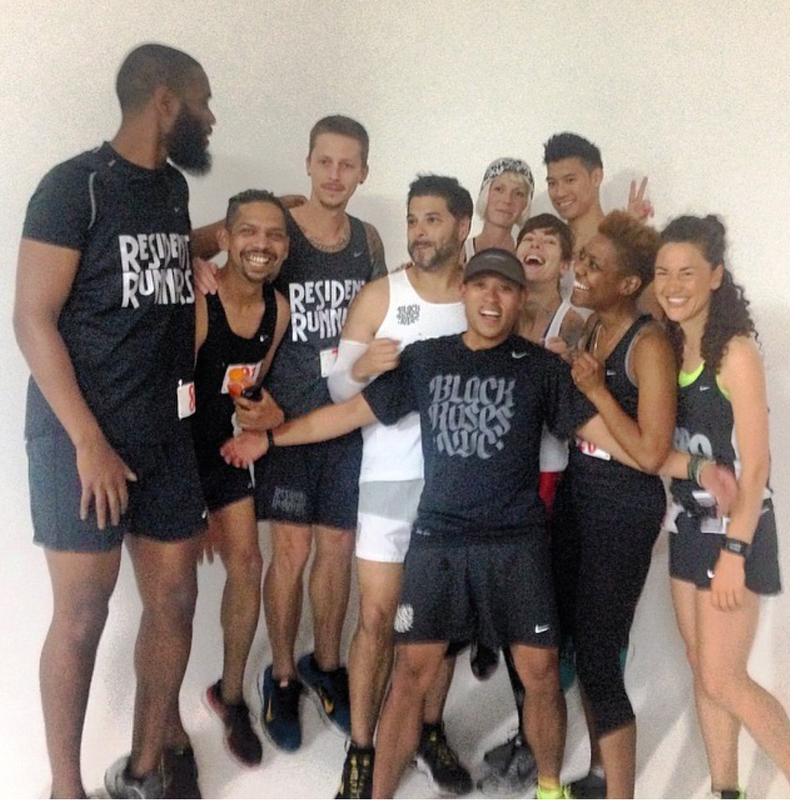 Needless to say, although there was plenty of room for improvement, it was a huge success and extremely well received by the urban running community all over the world. In the age of social media I promoted the race through word of mouth and twitter. This past May 31st we executed our 3rd installment of the race, which had a ridiculously competitive field of over 150 athletes, coming from several different countries and different cities from all over the US, not to mention some of the fastest runners in NYC. The overall winner was Mac Schneider with a time of 1:16:00 and the female winner (2 years in a row) was Leigh Gerson with a time of 1:26:49. 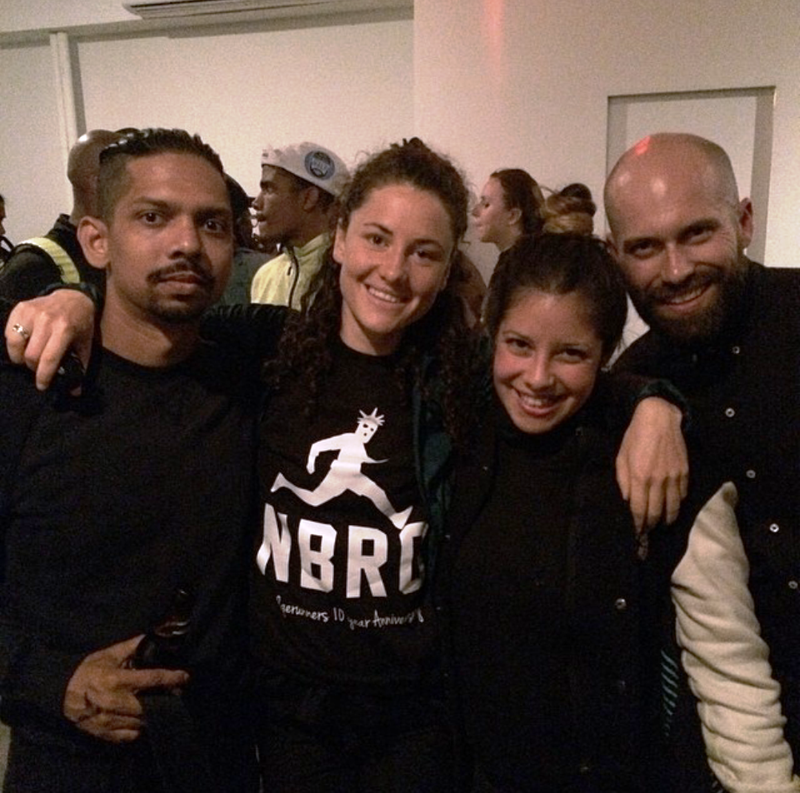 The race is now an integral part of the world wide movement of urban running and to many, is the pinnacle event in the sub culture. 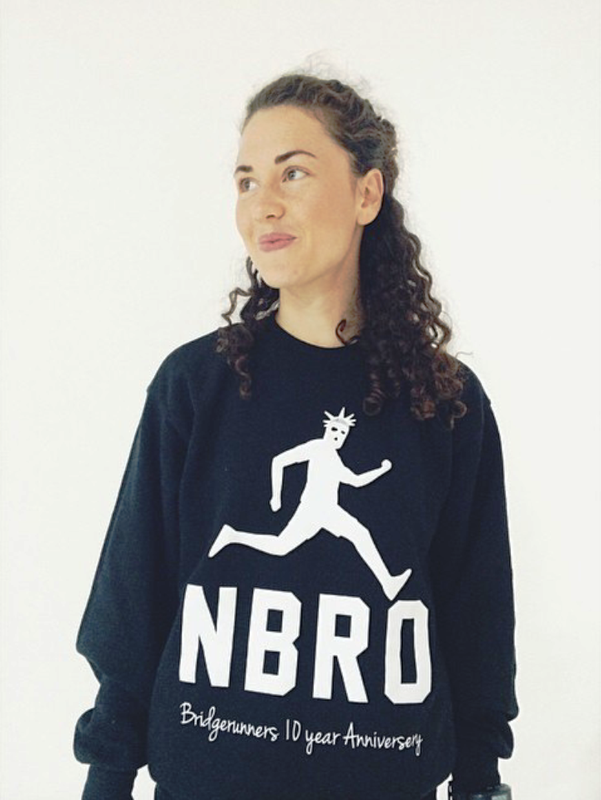 I also asked Anne Hviid(@annemini) from NBRO running who ran this amazing race to tell me more about her experiences in the race and this is what she had to say. 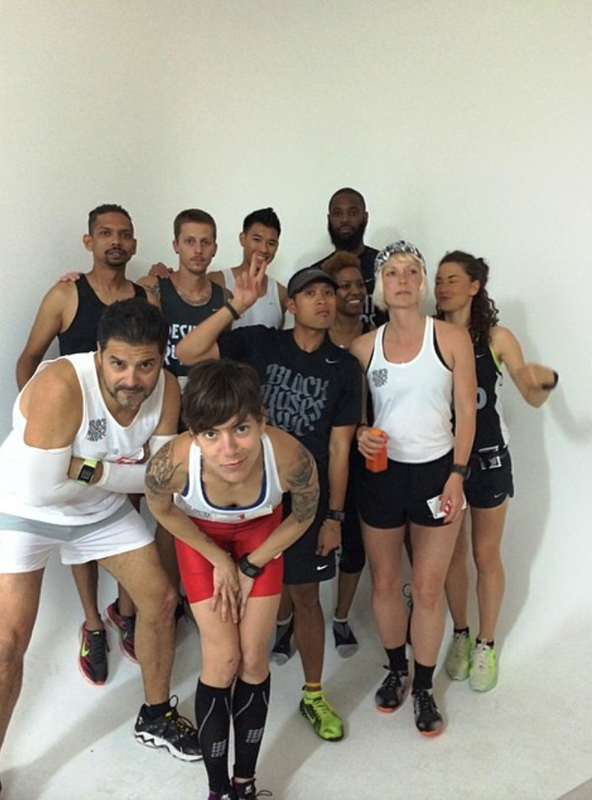 Midnight half hosted by Orchard Street Runners. 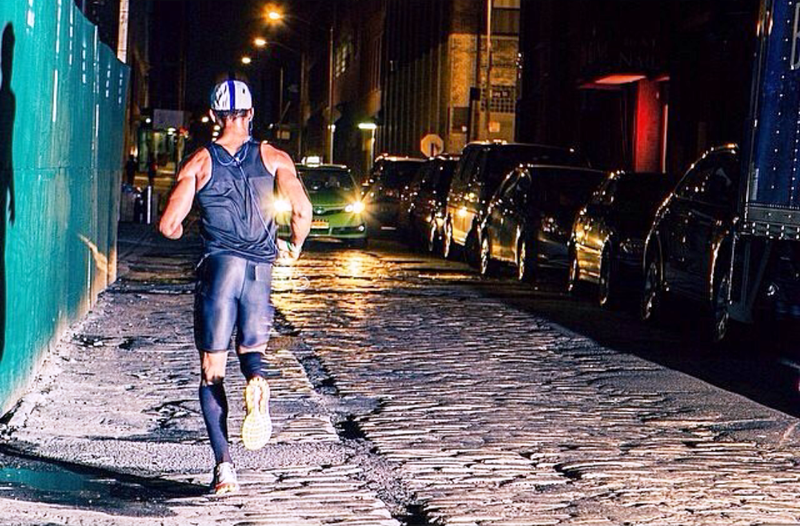 13.1 miles in dark NYC, without markings and only the race map showed on a paper in your hand. Definitely a different experience, but one of my best races ever. 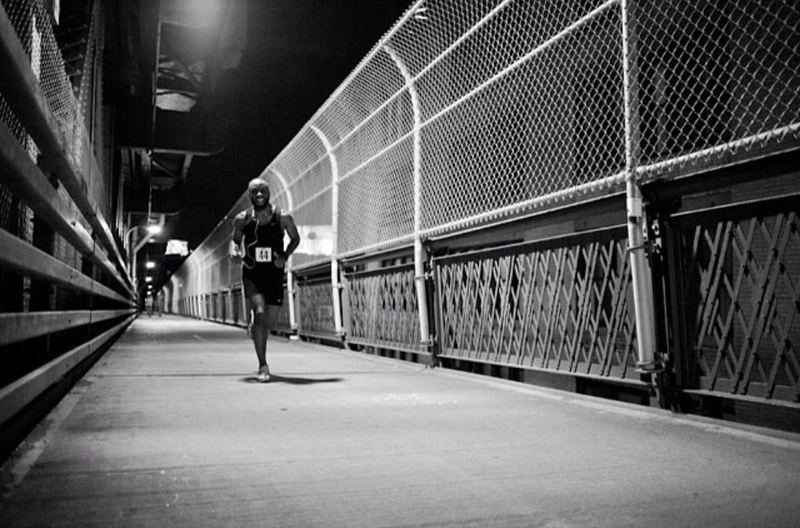 Running late in NYC, for me an unknown town, together with 100 other runners, was so special. It’s hard to explain it if you haven’t been there, but every so often you share a run with someone in complete sync and it’s almost an instant bond that you carry with you forever. I’m still grateful for this opportunity to share this race with a guy from Toronto called Nandito Noor. It is one of the best races I’ve ever been a part of, in the city that offers a running culture like no others, was special beyond words. Luckily I meet Nandito, we tagged up by chance and ran NYC like it was our own, and in the end we finished in the same exact fashion we started: in complete sync pushing each other towards a common goal. I was a little bit scared in the beginning. It was only my second time in NYC. So for me, finding the spots was difficult. Of course I knew that other runners would surround me, but when you first are out on the route, there will be a lot of space between the runners. And if you first are on the wrong street, it can be difficult to find your way back again. 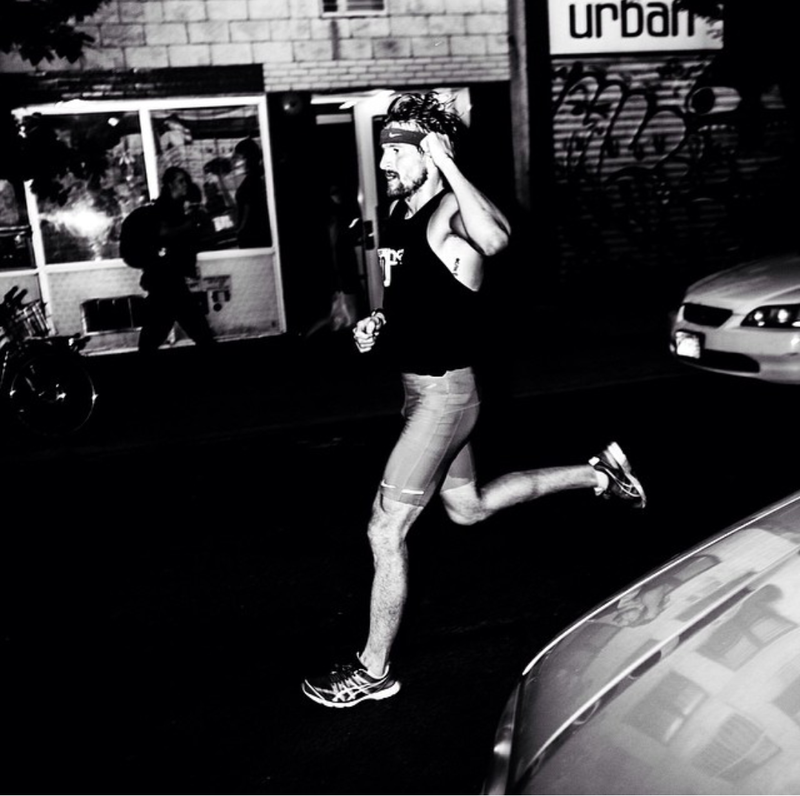 The beauty about running is that you don’t need anything in common, only the running is needed. And then you become friends. Running in NYC late night offered such a beautiful view. All the light everywhere and the fact that you still have to focus on the route and the right direction was a tough challenge. 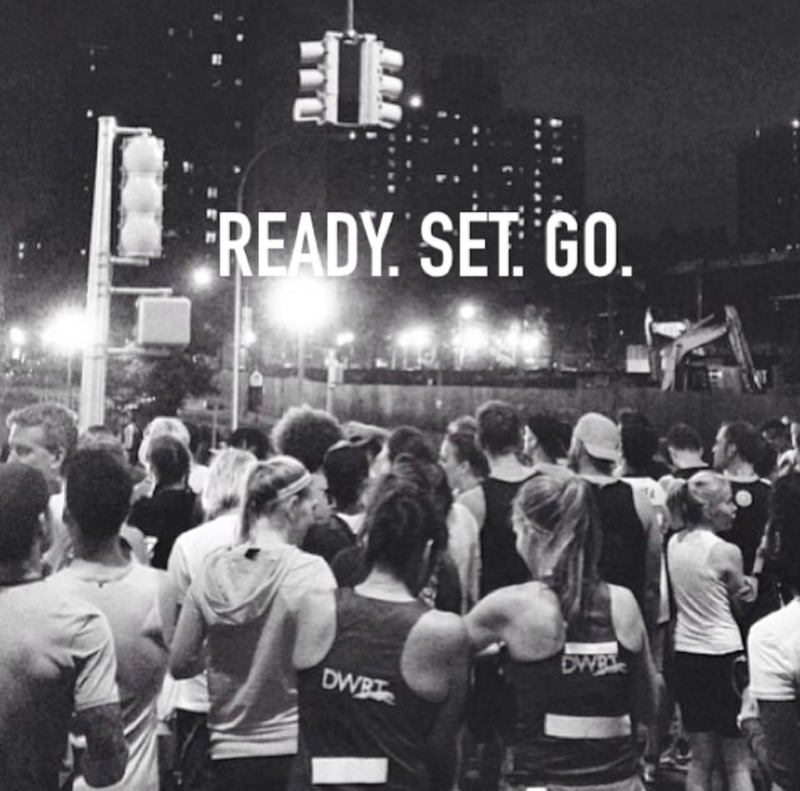 A half marathon is a long race, so you have to stay focused. Not my fastest race, but a race I would love to run again someday. It’s a bit hard to explain, because you are out of your comfort zone and sometimes the best things happen there. 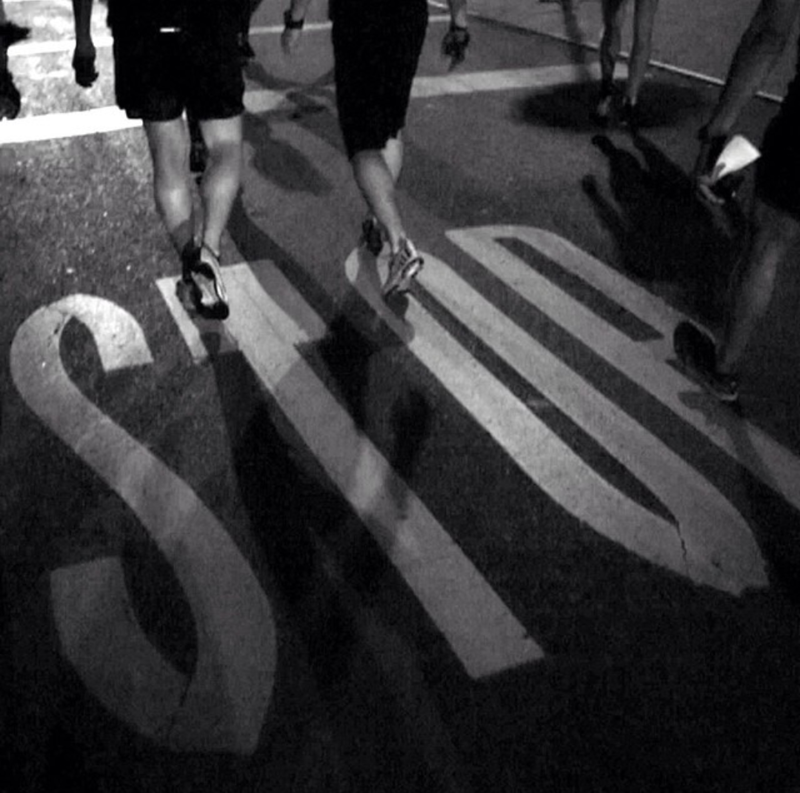 If any race organiser is reading this post, wouldn't it be cool to have us running the streets under the blanket of darkness. The executive chef here was a genuinely nice person and never made us feel like we were just "business" for him. He gave us the best team building activities in an extremely competent and organized manner.